Ever thought you may be too old to change careers? Especially for writing in games? If so, check out Heidi McDonald's story! In this episode she talks about her journey and advice. Heidi was a stay at home mom when the recession hit, and that's what pushed her to see what was next - lucky for her, that eventually led to her awesome career in video games. But it started with her being a 39 year old college with a bunch of 18 year olds. From there she dove in and learned a multitude of skills, and went to a creative careers seminar where she heard a woman talk about working in games - and that was an eye opening moment. Listen on to hear Heidi's advice, as well as the story behind her being a bride at GDC. And this week's "Book of the Week" is You're Never Weird on the Internet (Almost), by Felicia Day. 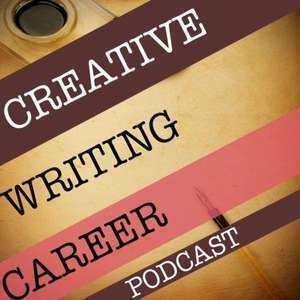 You can get a free audiobook copy with a free audiobook trial, www.AudibleTrial.com/CreativeWritingCareer. Heidi McDonald is a game designer and writer at Schell Games in Pittsburgh, PA. Winner of the Women in Gaming Rising Star Award in 2013, she broke into the industry as a second career at the unlikely age of forty-one, after working in communications and marketing fields. McDonald is credited with five shipped titles, including both entertainment and serious/educational products for children ages seven to fourteen. She was the bride at the GDC Wedding in 2014, and is currently the co-chair of the Romance and Sexuality in Games Special Interest Group (SIG) for the International Game Developers’ Association. McDonald has lectured internationally and been academically published with her independent research on romance in single-player roleplaying video games. She performs community service in schools and other groups to spread her love of making games, and mentors young developers, with an eye toward especially supporting minorities. She likes piña coladas and getting caught in the rain, and is an unrepentant fangirl of BioWare’s Dragon Age series.